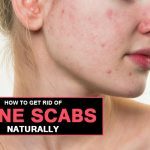 How to Get Rid of Acne on Cheeks and Chin Naturally? When you first saw your acne coming, you must have exclaimed Acne! No, not again before attending some important event or a party. You should take into consideration the fact that when you see acne on your cheeks, don’t try to take any stress as it can result into more. You can now relax as now there are many natural home remedies that provide an excellent way to fight with acne which are natural and safe too. If you are experiencing any sort of breakouts in certain areas of your skin such as your face and cheeks, you may be having an unevenness in the lungs or in the liver.You may be doing certain activities which result in these imbalances. And, when you avoid such activities they may improve the balance thereby preventing any further outbreaks. Allergies: If you have acne on your cheeks, it can also because of the food you eat. Hormonal Failure: Your cheeks on the skin are more delicate and this causes inflammation which is usually high here. 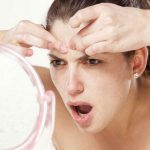 Keep your Hands Off your Chin: As all sorts of pimples are related to bacteria that get trapped in your pores, you should prevent any sort of unwanted bacteria from getting on the skin. Are you aware of the fact that when you unintentionally touch your face all day long you are making it to be one of the dirtiest parts on your body? Malnutrition: Those who are addicted to sweets especially on empty stomach, chips; coffee (especially with cigarettes), bread rolls, cracker, and junk food snacks can result in the disorder of your metabolism resulting in pimples on cheek. Medication Usage: If you are seeing pimples on your cheek while you are on medication, it indicates that your body’s reaction is because of the active substance of some medicine. Medications with antibiotics or hormones are the most common cause of pimples on cheeks. Oily Skin: An oily skin can appear on the early wrinkles in a lesser way thereby resulting in a clear disadvantage which is that your skin maybe clogged because of the pores. It’s the sebaceous glands which can actively create a lot of sebum thereby causing your pores to enlarge resulting in the accumulation of dust and dirt in the skin tissue. Your hair bulb is inflamed thereby resulting in the appearance of acne on your cheeks. Wrong Facial Care: If you, on a daily basis use large amounts of cosmetics, then, this is what clogs the pores. Allergies can happen because of poor quality food and acne on cheek as well. It can also be the result of not taking into account the basic rules of facial care. How to Get Rid of Acne on Cheeks and Chin? It is a fact that over-the-counter products cannot treat the hormonal basics of acne, salicylic acid works. You are recommended to use salicylic acid-based products in conjunction with the preparation of benzoyl peroxide as they target acne bacteria with enhanced strength. Perform a test on one area of your skin. In this way you will come to know as to whether your skin is sensitive to tea tree oil. Take a sterile cloth and put 2 drops of tea tree oil. Now simply apply the oil to the inside of your forearm. If your skin doesn’t show any signs of burning, itching or turning red within 2 hours, this means that you can go ahead and safely use tea treeoil. On experiencing a slight irritation, it becomes necessary for you to dilute the tea tree oil by at least 50%. This can be easily done by mixing 5 drops of oil with 5 drops of warm water. Using a gentle cleanser, wash your face and rinse it well. Using tree oil, steep a cotton swab and apply it directly to the acne breakout. Don’t rinse. This step should be performed both in the morning as well as in the evening. Add 4 drops of tea tree oil to a cup of water so as to make an astringent rinse. This rinse should be used e no more than once per day. Taking vitamins especially vitamin A plays a crucial part in the normal dropping of dead skin cells that build up inside the pore which results in acne and it is this enhanced production of sticky build up and skin cells is one of the main causes of acne! On taking vitamins, it functions by preventing the build up of acne on your cheeks that would have otherwise resulted from a clogged pore. Asides from this, vitamin A’s antioxidant properties act as an anti-inflammatory component for the skin thereby helping to calm red, swollen and sore acne breakouts. If you are using an acne product, you should stay away from the sun. Apply a sunscreen with an SPF 30. You should also wear a wide-brimmed hat. You should not touch your face and pop your pimples as oil and dirt from your fingertips can enhance the problem. You should also remember to, tie your hair in such a way so that you don’t transfer any oil from your hair to your skin. The acne-fighting products which you are using can stain clothing sheets and towels. This is why it becomes necessary for you to ensure that you keep your face as dry as possible before touching these things. We have not discussed anything unnatural here. 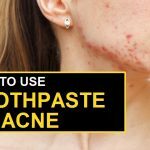 This is why you can adopt these ways with the help of which you can treat acne so as to see the improvements in your acne condition. However, the effect of these treatments can only take place when you follow the above mentioned treatments with patience and persistence. You should always give importance to your acne treatment naturally if it’s not severe. In this way you are not allowing superfluous side effects to occur that make your acne even worse. You can also take medications as well if the disease has not arisen from natural treatments. How to Get Rid of Acne Fast with Hydrogen Peroxide? How To Get Rid Of Acne Quickly With Lemon? How to Get Rid of Acne with Turmeric? 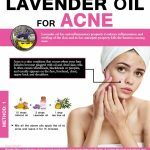 How To Use Lavender oil to Clear Your Acne? 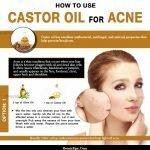 How to Use Castor oil for Acne?